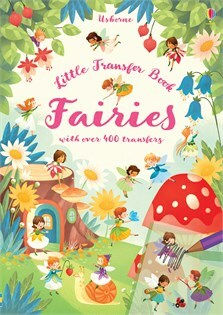 Bring the magical world of fairies to life in this gorgeous activity book. There are over 400 delightful transfers of fairies, flowers, butterflies, laybirds and more to decorate scenes including a fairy tea party, magic academy and a starlight ball. For each scene, there is a fairy picture to colour, too.